The council must think we have very short memories! They made cutbacks to Bury’s library services in 2011 (see here) then made further, sweeping cutback proposals in 2013, which were mostly abandoned at the last minute (although 20 council library employees lost their jobs). Now the council is at it again – we are about to start a 3 month consultation, but it is quite likely that the plans from 2013 will be the cutbacks proposed for next year. As a reminder, the proposals in 2013 were to close Unsworth Library on Sunny Bank Road and move the services to Sunnybank Community Centre, just down the road. Anyone can tell you that there is no way that the entire contents of Unsworth Library are going to fit into the Community Centre, so what kind of service would Unsworth be left with afterwards? The new 2016 consultation is set to run from the 13th June until 5th September 2016 and following this, the consultation results and proposed changes will be sent to the Bury Council Cabinet for a decision. Once the lead councillors have made their decision, there will then be another consultation from November 2016 until February 2017. A staff consultation is also scheduled to take place April – May 2017. Implementation of the changes, including any library closures will take place from 1st July 2017 onwards. I will be fully participating in all aspects of both the first and second consultation in order to save our Library. I urge all Unsworth residents to do the same. You will be able to participate in the consultations on-line via the Bury Council website (I will post full links and further blog posts once those links are available) and also the Council intends to bring the consultation to community meeting and township forums. It will be essential to have a good attendance at all these meetings to ensure our voices are heard. 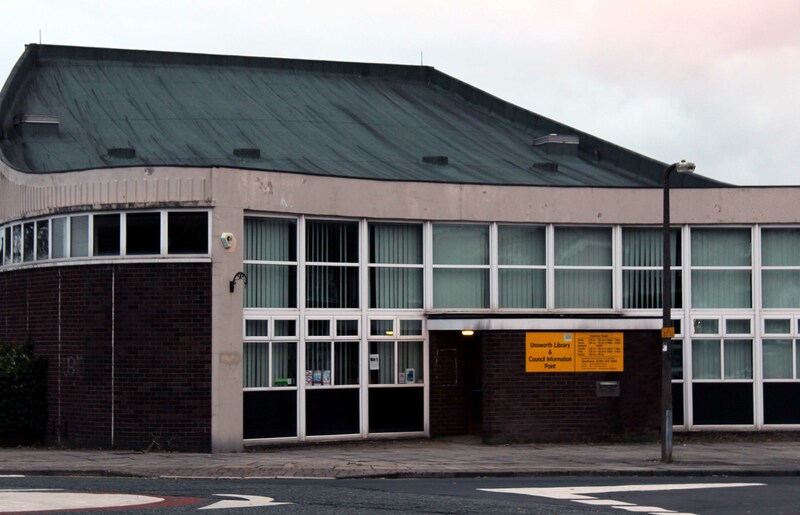 Unsworth Library – Set to close? The council is also employing a firm of consultants to help them with the first consultation (at a cost of £13,000 which is coming straight from the Department for Children, Young People and Culture budget!). The consultants will engage with residents by conducting telephone surveys with current library users and non-library users. While we are waiting for the consultation to start, I am asking everyone reading this to start thinking about how you or people you know have used Unsworth Library. What stories can you share? Has the library helped you find a job? Locate long lost relatives? Made a positive contribution to you or your children’s learning and development? What couldn’t you have done without the library? 1. To provide a library service across the borough which provides all residents with access to libraries and electronic services sufficient in number, range and quality to support reading for pleasure, lifelong learning, the development of new skills and the effective use of information. 2. To ensure that the needs of more vulnerable residents and groups are taken fully into account in the provision of these services. 3. To ensure that the resources committed to the library service are used as efficiently as possible by exploring options to reduce running and maintenance costs and to share premises with council and other services. 4. To explore options for investing in technology to improve access to the library service, for example by extending opening hours, increasing our digital services and enhancing provision for those with sensory impairments. 5. To welcome the contribution that members of the community can make to the library service as volunteers, supporting both traditional and digital services. 6. To meet local aspirations for a network of community spaces across the borough in which the council and local communities can work together as partners in meeting local needs. Apologies for the long post, but this is something that I feel passionately about and I am very worried about losing something we will never be able to get back. I also think about what could become of the library building should it close – how soon will it be vandalised or worse? I’d really appreciate your thoughts – please do comment on the blog post at http://stevemiddleton.net or feel free to telephone me on 07870 444 235, email me at steve@stevemiddleton.net or you can post me a letter 36 Chadderton Drive, Unsworth. If we start now, we can save our library.